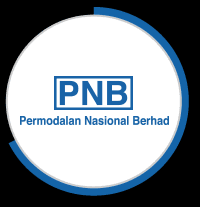 Permodalan Nasional Berhad (PNB) is Malaysia’s leading fund management company with assets under management of over RM279 billion. PNB’s portfolio covers strategic investments in leading Malaysian corporates, global equity, private investments and real estate. With the aspiration to become a world-class distinctive investment house, PNB would like to invite all qualified candidates to apply for PNB Global Scholarship Award 2018. Earned a MINIMUM of 8A (A + or A ONLY, A- NOT considered) in SPM 2017. Obtained a MINIMUM grade of A2 in English 1119 (GCE-O) in SPM 2017. Age not exceeding 19 years on 1 January 2018. Active in co-curricular and sports activities, have high leadership qualities as well as teamwork. Has excellent skills and communication skills. No immediate family has ever received or received any Scholarship Award from PNB. Sucessful applicants will enroll in a preparatory course at Kolej Persediaan in Malaysia before going on to pursue a Bachelor's Degree at universities selected by PNB, based on PNB's requirements. Candidates are required to write in Bahagian IV carefully (in application form) with ONLY THREE selected courses except Pharmacy, Dentistry, Medicine and any other course unrelated to PNB. Upon passing the preparatory course and meeting other requirements, applicant must obtain a place at universities selected by PNB for their Bachelor's Degree level studies. EXCEPT medicine, dentistry and courses NOT related to PNB. 3. Scholarship application form must be filled in meticulously and accurately. PNB reserves the right to reject applications that are incomplete or falsified. 4. Ensure all documents listed in the 'Senarai Semak Penghataran Dokumen' in Bahagian XI of application form (found below) is verified and attached.